Friends and family of beleaguered England boss Roy Hodgson (67) will tonight hold a round the clock vigil for the national team ‘supremo’, after it emerged he is at the centre of a row over a rare gaffe. The news follows reports that the self styled ‘King Roy’ has been forced to acknowledge that he made a mistake. The F.A. is yet to issue an official statement, but an unnamed source has appealed for the Hodgson’s to allowed time and space to come to terms with the disaster, and made it clear that there would be no immediate moves to oust the England boss. Residents of the small village of Owlville, Croyden have greeted the news with a sense of shock and bewilderment. A woman named locally as Beryl, a regular at the ‘Gala Bingo’ frequented by Roy’s wife Sheila, spoke of her dismay. So what actually happened? The facts remain sketchy, and there has been a wall of silence surrounding the Hodgson family home until now, but at last some of his closest advisors are finally breaking ranks. 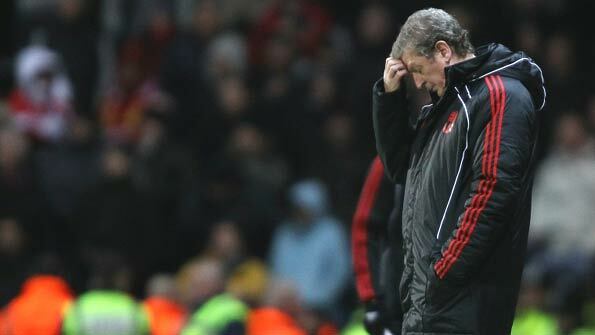 Last night a man I met in a bar, claiming to be Hodgson’s agent, told me that the incident had happened in early summer. “Roy had got home late following an England training session,” the man explained “he was tired and his body ached from the exertion. His wife immediately asked him to go into the garden and prune the rose bushes. They were growing wild and Sheila is very house-proud. The last things she wanted was for their garden to let the side down. “Roy told her he was tired, and probably wouldn’t be able to do the rose patch justice, but I want to make it clear that at no time did he refuse to do the garden”. It now appears that he probably should have, because what happened next was nothing short of disaster. His agent continued, “It appears that tired and confused, and worn out by the pressure of carrying the hopes and aspirations of the England squad on his shoulders, Roy made a catastrophic human error. Instead of pulling up the weeds he inadvertently destroyed Sheila’s prize azaleas. Even Sheila admits she probably should have let him rest for a couple of days, but hindsight is twenty-twenty.” The incident, according to Hodgson’s ‘agent’ has place a great deal of strain on the couple, with Roy failing to wake Sheila up with her usual morning coffee ever since. For her part Hodgson’s wife is said to be beside herself with guilt over the incident. Professor Cyril Bodgitt of popular science website nobodysperfect.com feels that Sheila need not beat herself up too much over the incident. “There isn’t much evidence that you can’t do the garden immediately after a training session,” said Bodgitt (88) pointing out that in his day everybody was tired and it didn’t stop them doing the garden. Attempts by the Hodgson camp to prove that somehow Liverpool’s poor start to the season may have played a role in the gardening disaster have proved fruitless. It appears that no Liverpool F.C. employees were anywhere near Croyden at the time. 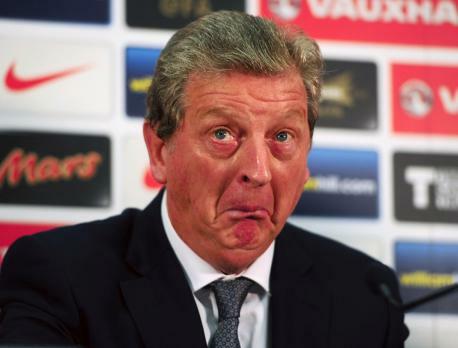 What next for Roy Hodgson? What next for a grieving nation, who’s whole belief system, has been so cruelly shattered? After all, if such a pinnacle of perfection can be found to be so wantonly lacking, what hope is there for the rest of us? However, we need not fear as sources, high up in Roy’s inner circle, have confirmed to me – It was actually all Sheila’s fault anyway.